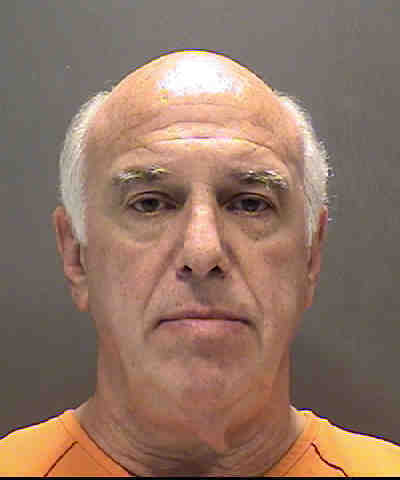 Former Sarasota cosmetic surgeon Leonard Rubinstein, 61, has been sentenced to seven years in prison, to be followed by nine years of probation, as a result of his 12th Judicial Circuit conviction on four counts of practicing medicine with a revoked license, the Sarasota Police Department has announced. Judge Charles Roberts sentenced Rubinstein on Dec. 2, a Sarasota Police Department news release says. The charges stem from a 2013 case, the release notes. On Dec. 9, 2013, the Sarasota Police Department Narcotics Unit executed a search warrant at the Center for Integration in Cosmetic Surgery, Rubinstein’s medical office, which was located at 1805 Siesta Drive in Sarasota, the release says. A Higel Avenue resident, Rubinstein was charged with attempting or offering to practice medicine with a revoked medical license, the news release continues. The investigation began after the state Department of Health received numerous complaints that Rubinstein was practicing medicine even though his medical license had been revoked, the release notes. The Narcotics Unit conducted an undercover operation, with an officer posing as a potential patient, the release adds. Further, as a result of the execution of the search warrant, the release says, “detectives seized numerous medical records and marketing materials” that indicated Rubinstein was practicing medicine. The detectives also found evidence that illegally obtained controlled substances were being given to patients, the release adds.